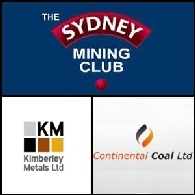 Continental Coal Limited is engaged in investment in the opencast coal mining industry. 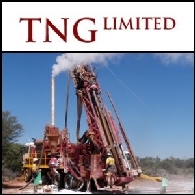 Asian Activities Report for August 3, 2011 includes: Australian resources company TNG Limited (ASX:TNG) is to form strategic partnership with a leading Chinese group; New Age Exploration Limited (ASX:NAE) has entered into a binding agreement to acquire another coking coal exploration and mining concession in Colombia; Altura Mining Limited (ASX:AJM) announced further drilling results from its Pilgangoora Lithium project located in the Pilbara region of Western Australia; Continental Coal Limited (ASX:CCC) is to form partnership with the Sishen Iron Ore Company Community Development Trust; MphasiS (BOM:526299) has signed a definitive agreement to acquire 100% equity stake in Wyde Corporation. 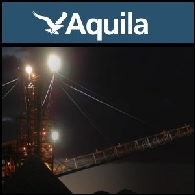 Australian Market Report of March 11, 2011 includes: Aquila Resources Limited (ASX:AQA) announced that the Avontuur Manganese Project in South Africa has been expanded to target a 2Mtpa operation; Dragon Mining (ASX:DRA) announced further promising drill results from the Jokisivu Gold Mine in southern Finland; Continental Coal Limited (ASX:CCC) said that export thermal coal sales increase by over 52% to 48,532 tonnes in February 2011; Discovery Metals Limited (ASX:DML) reported additional results from the Zeta underground resource at Boseto Copper Project in Botswana.